This is an open letter to announce that with great sadness I will be leaving Free Rangers at the end of the year to take up a consultancy position at the Snapdragons Nursery chain based in Bath and Bristol. My final day will be Christmas Eve and as I step out of the door for the final time I will be leaving behind three and a half incredible years that have been filled with laughter, fun, tears, smiles, friendship and mud. As one of the original members of the Free Rangers team I remember the day that we opened our gates for the first time (disappointingly without the Jurassic Park theme song) and welcomed in eight children, the first few to experience what we had to offer, what we had to give and what we believed in so strongly then and still believe now: that a nursery is a place designed for children. I come back to that belief time and again as I consider why we have such a large percentage of children coming into the Den every session who charge ahead of their parents and race across the garden to experience another unique day of adventure. I truly believe that we have successfully created a space which holds the idea of childhood with such respect that each and every girl and boy who comes in is able to find their own meaning from the time spent with us and that they can have an impact in shaping this time at their own pace. 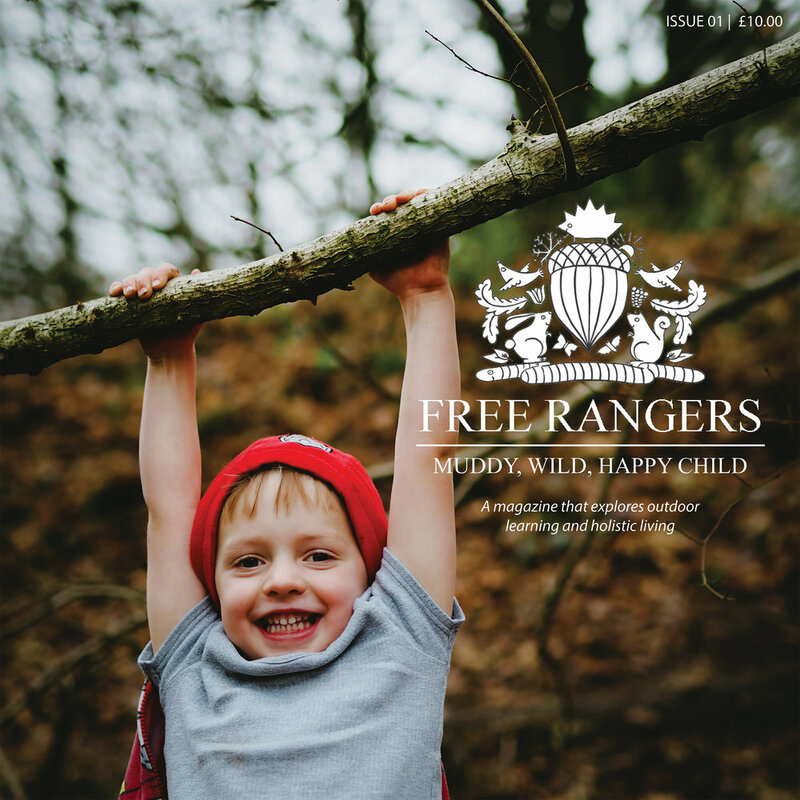 To be a Free Ranger is much, much more than just being allowed access to a huge amount of space; it is about the freedom of thought, the right to be respected and the central purpose of education: to inspire and empower each and every person to enjoy their learning. I think as well of those that have come through the Den and, in turn, have headed off to school. Every leavers day has made me feel proud of what we achieve at Free Rangers with the most incredible, insightful and individual children taking those next steps out into the wider world of learning. Every child holds their own place in my heart and mind and, since leaving education myself, I have been inspired in turn to carry on my own individual path of learning to discover more about myself. This is also the root of my leaving. We are all so fortunate to have access to an incredible nursery and it is only right that we recognise the importance of what we can give back in turn. Recently I spoke at a conference on risk benefit and during the break I was approached by practitioners from other settings who wanted to know how they could improve their own practice; they saw their own space as limited, they felt nervous about the reaction of parents and they felt a lack of confidence in taking what was, to them, a huge step in a very new direction. As I reflected back on my own interactions over that day I realised more and more and how fortunate I am to work as part of a brilliant, highly motivated team who are keen to take on challenges and we are part of a setting that facilitates and actively encourages us to try out new ideas as part of our day to day life. But I have come to realise that as well as working with children and feeling that indescribable connection that becomes such an integral part of our work that I also want to further connect with and inspire adults working with a wider range of children than I would otherwise be able to have contact with. I want to take something of Free Rangers to more settings. to more practitioners, to more children and to more families. So at this point I want to say thank you to all of you: you that make this job worth doing. Every child’s world and path of learning is marked out and defined by those around them, those that give them a sense of place, of connection and points of security and confidence. You all have been so accommodating and understanding of the bizarre and the beautiful things that occur at Free Rangers, you have all been so trusting in the work that we do and you have all shown your understanding at valuing these first few formative years that provide the basis of everything to come. All profits will go towards building a forest school for primary aged children at Free Rangers!